Raccoons are some of the smartest and most mischievous animals in Montana. These nocturnal creatures have earned a reputation as "bandits." They inhabit all of Montana and have adapted well to living in any habitat, although they're commonly associated with agricultural and riparian habitats. If you watch a raccoon closely, you'll see the front paws are very agile and look like tiny hands. As they eat, they appear to wash their hands and food, but it is actually a matter of sensitivity. Raccoons have sense receptors in their paws that are enhanced by water; in a sense, the water helps them evaluate their food. All spring and summer, raccoons build up fat to prepare for winter. 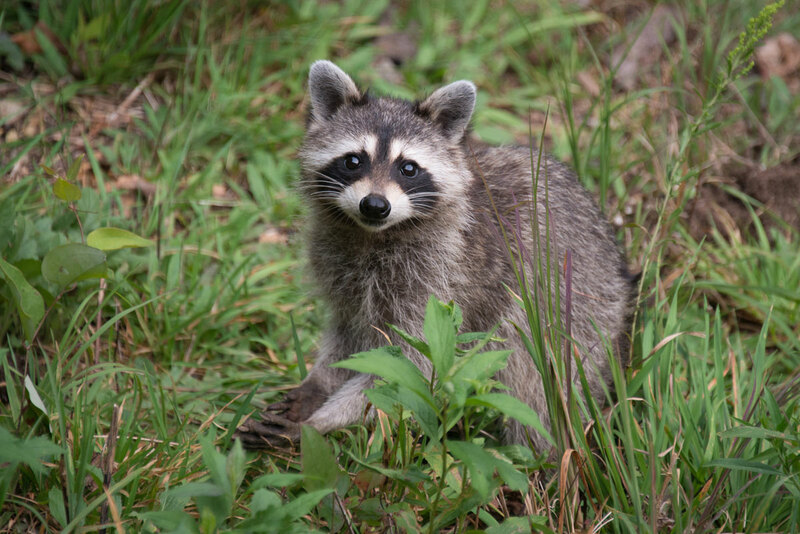 Raccoons do not hibernate, but they will den for extended periods to stay warm.